Too busy to blog, and anyway we have a Facebook page now . . . Still working away, almost entirely with WordPress now. Here’s just a few of the sites we’ve completed or redesigned over the last twelve months. 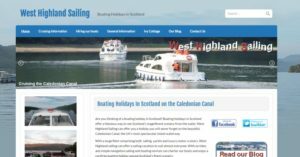 In July 2016 we completed the conversion of West Highland Sailing’s website to WordPress. With over fifty pages, the site is bursting with information about the company, the boats and the canal and surrounding countryside. Zoomable charts of the canal, booking forms, availability calendars, downloadable PDFs of all the major documents and lots and lots of really great photos. 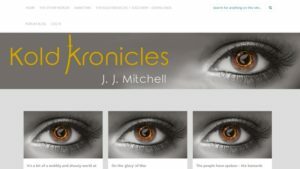 September saw the publication of the Kold Kronicles website, a site for the readers and fans of a new series of groundbreaking fantasy novels. The author was particularly interested in the blogging side of WordPress, and is using it to good effect to keep in touch with his fan base. What does Google’s new algorithm mean for your business? Since the 21st of last month (April 2015) Google will – for searches made from mobile devices only – reward sites that are deemed to be ‘mobile-friendly’ with higher ranking for the same search terms as non-mobile-friendly sites. If your traffic mostly comes from desktop, laptop or tablet users then don’t panic – your search rankings will not be affected. 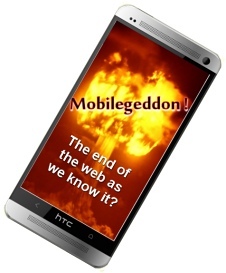 However, it is worth remembering that approximately 60% of web traffic is currently driven by mobile devices. Help! My site is not mobile-friendly. What can I do? Firstly, don’t panic. Remember, searches that are not from phones will not be affected. But – we recommend that you consider updating your site in the not too distant future to use a responsive design that will look good across all platforms. Just ask us for a quote. We will set up a new WordPress site for you using a responsive design, and transfer your existing content. How long is a piece of string? It depends on the size and functionality of your existing site. Roughly, it will probably cost as much or a little more as it cost to set up your site in the first place – if we did it. If your site was created by another company it might be very much cheaper than you think. Ask us for a free, no-obligation quotation – fill in our contact form. Are there any other benefits other than Google rankings? Yes. You can manage a WordPress site yourself. Simple edits are a doddle – no need to call your web developer. You – or us if you prefer – can add almost any functionality you can thing of in future, from e-commerce to galleries, forums or online booking. And the site is easy to transfer to another server or web provider with a few clicks should you ever want to do so. Do I need SSL for my website ? What is it ?